The County seat of Fountain County, West Central Indiana on the left bank of the Wabash River, 27 miles West North West of Crawfordsville., 45 miles North of Terre Haute, East of Danville, South West of Lafayette off U.S. Route 74. It lies in an agricultural and bituminous-coal area. Having been first laid out in 1826. 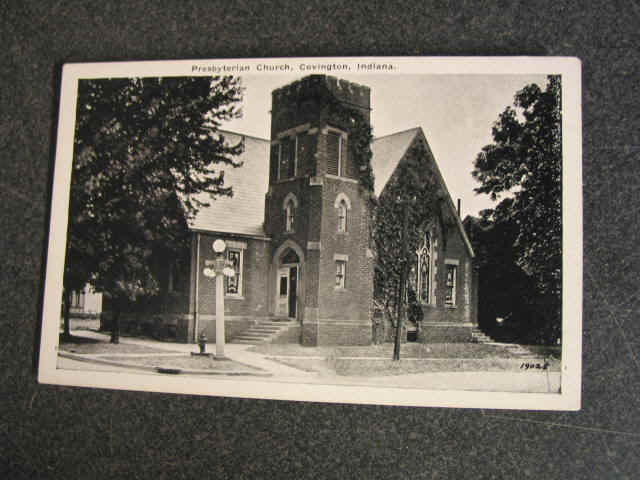 Covington was the home of Lew Wallace from 1850-1853, while he served as County prosecuting attorney. His home, where he is said to have written the novel The Fair God (1873), was located at Eighth and Crockett Streets. Local main trades include diversified agriculture, farm produce, fruit, shipping of canned goods and sand & gravel pits. Covington based, Fountain Trading Company appears in the Million Dollar Directory 1988. This tranquil Wabash River community boasts two important murals of Indiana history by renowned muralist Eugene F. Savage, which are located in the county courthouse. Since 1980, the city has improved its electric, water and sewer utilities to prepare for future expansion. Served by the city of Covington through the Indiana Municipal Power Agency, a statewide joint action agency, Covington Municipal Light & Power can serve any size electric load while maintaining a lower cost of service than most of the competition. Covington is served by the Indiana Gas Company, and gas is available to all new and expanding customers for the process as well as for heat. During 1993, there were 1,418 manufacturing jobs in Fountain County, approximately 32% of the total non-agricultural employment. In December of 1995, 4.1% of the county's 8,735 person labor force was unemployed. Covington is surrounded by good vocational and higher education schools. Danville Area Community College and a vocational school are located within 15 miles. Within 50 miles are Purdue University, University of Illinois, Indiana State University, Rose-Hulman, St. Mary of the Woods and Ivy Tech State College at Lafayette. The high school in Covington has an excellent vocational education program. U.S. Highway 136 runs through Covington and connects, within three miles, to four-lane State Road 63 (north & south). 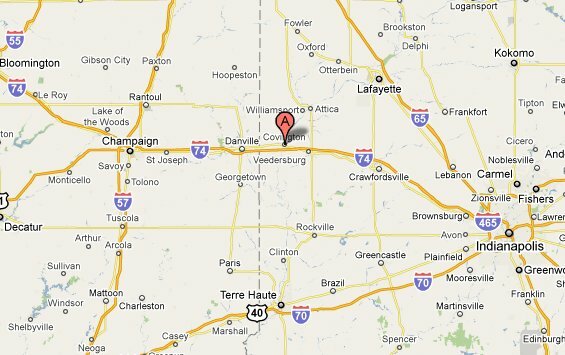 One mile south of Covington is Interstate 74 (east & west). There are several truck terminals within 12 miles and an airport within 20 miles. Net (effective) tax rate inside city limits: $7.6800 per $100 assessed value. Net (effective) tax rate outside city limits: $6.1817 per $100 assessed value. The city has passed ordinances to give tax abatements to new or expanding industries.